What should I use to clean my new Design floor? Which care products are suitable for covering up scratches? What should I use to remove stubborn stains and remains of old products from my resilient floor? What can I use to freshen up my older floor covering again? What is the difference between the pads of the Padmaster-System? What do I use to remove rubber marks from my PVC? What do I use to apply VP/BG? How do streaks form, why is a floor sensitive to footprints? Removing stains from a resilient floor? For this purpose you can use PU Cleaner undiluted with a white pad. Alternatively also Elatex. What must I bear in mind when cleaning Click-flooring (laid floating)? In general such floor coverings should only be mopped with a slightly damp mop, avoiding any pools forming. This also applies to parquet, wood, cork and laminate floors. What do I use to clean and care for my linoleum floor? Use a mop cleaner like Floor Cleaner R 1000. How do I clean my carpeted floor? For fitted carpets covering the whole area, follow the spray-extraction procedure. For synthetic qualities and for wool qualities our Concentrated Carpet Cleaner is most suitable. How do I treat footfall-routes? There you should use our Fresh Up 2in1 before the intensive cleaning. This tenside-free pre-cleaner dissolves dirt and stains. What must I bear in mind if my carpeted floor contains jute in the base or backing material? How can I clean shag-pile carpet qualities, so-called shaggies? Either follow the spray-extraction procedure with Concentrated Carpet Cleaner, or dry cleaning with Dry Foam. How can I prevent footfall routes from re-forming soon after the spray-extraction? By applying our Baygard carpet protection onto the moist carpet. How can I prevent liquids and drinks from quickly soaking into the carpet fibres? With our product Stain Guard. It impregnates the carpet and creates a lotus-effect. Which stain remover is suitable for synthetic carpets? Depending on the type of stain: Elatex, Floor Mate, Super Stain Remover R.
Which stain remover is suitable for wool qualities? What can I do to counter any odour nuisance emanating from carpeted floors? Apply our Fresh Up 2in1. It contains an odour absorber, which neutralizes bad smells. What can I do against electro-static charging of air in the room? Use our Anti Static Spray on your carpet floor. How do I clean upholstered furniture? With Dry Foam, Spray-Extractor machine using the upholstery nozzle and Concentrated Carpet Cleaner. Why must natural fibre carpets (jute, sisal, cotton, etc.) NOT be cleaned wet? These materials are sensitive to moisture. Wet cleaning can lead to discoloration and shrinking (forming corrugation). Why is it that stains are still visible after Spray-Extraction? This is a case of older stain substances, or deeper lying dirt. These are partially dissolved by the Spray-Extraction. These substances are then mobile and are drawn up, like wax in a wick, to the tips of the pile, as soon as the carpet dries. As carpets, especially fitted carpets, dry from the base up (i.e. from bottom to top), it is the tips of the pile which dry last of all. When the carpet has dried completely, the dirt substances which were hidden at first can now be „drawn up“ to the surface (the tips of the pile). Such spots should be spray-extracted again, or a stain remover should be used. What do I use to clean my heavily soiled ceramic tiles? Use Clean & Strip 1:3-1:5, water the grouting beforehand. How can I remove limescale residue from ceramic tiles? Should ceramic tiles be given an initial care coat? No, only Stone Care should be used for maintenance cleaning. How can I make my old, dull marble floor shine again? After basic cleaning with Clean & Strip you can freshen up the marble floor again with Floor Shine. What do I use to remove stubborn stains and remains of care products from my parquet/wood floor? Intensive Cleaner for Wood+Cork. Undiluted on sealed wood/parquet, 1:1-1:3 on oiled surfaces. What can I use to freshen up my older wood/parquet floor again? Sealed floor: Wood+Cork Shine/Matt Oiled: H2Oil, Premium CareOil. 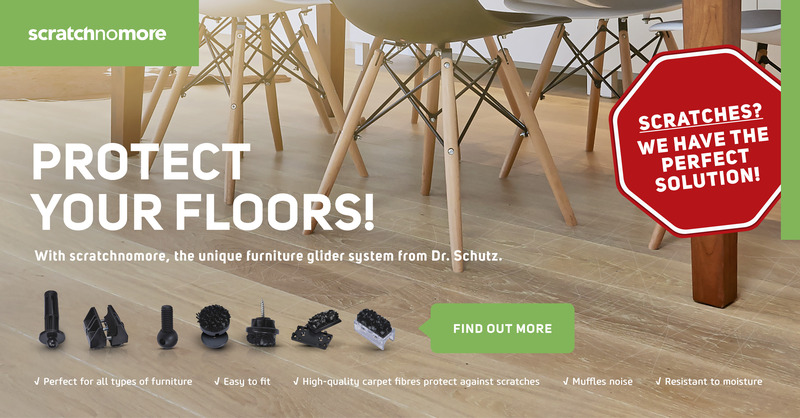 Which product is suitable for maintenance cleaning of wood/parquet and cork floors? Generally: vacuum-cleaning and mopping to bind dust. Mopping with a slightly damp mop with Wood+Cork Cleaner (sealed floors), with Wood Care (oiled floors). How can I remove stains from my wood/parquet or cork? What do I use to clean and care for my white oiled wood/parquet floor? With Wood Care White and the Premium CareOil+White paste. How does it happen that streaks and stripes appear after applying the initial care coat of Wood+Cork Shine/Matt? The cause of this can be too small an amount applied (one 750 ml bottle is sufficient for approx. 30-35 sq.m). The product was polished in and formed streaks as a result. The wrong machine was used to apply initial care, therefore it left mop traces and streaks. Optimally use the Polish Applicator for initial care, alternatively with a clean, fluff-free mop. Over the course of many year a wood/parquet floor was freshened up using Wood+Cork Shine. Now it looks rather neglected? Due to the regular use of the care product, layers of it have built up. After a longer period these should be removed again, using Intensive Cleaner for Wood+Cork with a white pad. An oiled floor looks grey after a certain time. Why is that? Every time the floor is mopped, oil is taken from it. Therefore cleaning should be carried out using only a slightly damp mop, and the floor should be regularly oiled afterwards. For this purpose our H2Oil (water-based) is suitable, as is our Premium Care Oil (solvent based). How can I remove stains from laminate? Laminate Cleaner undiluted or Elatex. What can I do against stripes and streaks on my laminate? An oiled floor looks grey after a certain time. Why is that? Every time the floor is mopped, oil is taken from it. Therefore cleaning should be carried out using only a slightly damp mop, and the floor should be regularly oiled afterwards. For this purpose our H2Oil (water-based) is suitable, as is our Premium Care Oil (solvent based).